What is emotional imprisonment toward oneself? Sometimes we harbor deep resentment over a long period of time because we think we are somehow getting back at those who have wronged us as we keep the anger deep inside. Yet, in my own experience, those who hold onto that anger are punishing the self more than the other, who may not care that you are so angry. When a person deliberately keeps such anger inside, he or she is keeping the self in an emotional prison which eventually could rob that person of happiness. Forgiveness is one important way of letting that anger out, which then can increase happiness. There is no Christian imperative to forgive immediately. When Paul tells us not to let the sun go down on our anger, the Greek is parorgismos, an intensive kind of anger that could include revenge-seeking. He is not telling us to forgive immediately. Self-forgiveness from the Christian perspective does not mean that one forgives one’s own sins. Instead, it means that one offers to the self what one offers to others when they offend you: understanding, compassion and love despite the bad behavior. When we self-forgive we try to love ourselves again, not forgive our sins. The term quality of life refers to an overall positive sense of comfort, contentment, or happiness with one’s life as it is experienced right now. Quality of life encompasses one’s physical strength and health, one’s psychological adjustment to life’s challenges, the fulfillment of one’s purpose in life, and the amount of support that one senses from important others in one’s life. Forgiveness can increase benefits in all of these areas in people who take the time to work through the process. In one rather dramatic example, Mary Hansen and I helped terminally ill cancer patients to forgive those who had hurt them in the short time of four weeks. This brief time period is unusual, but in this case, the people knew that they were dying, their energy was fading, and so they did the intensive work of forgiving those in the family toward whom they were still fuming. Some of the patients had held on to this unhealthy anger for decades. 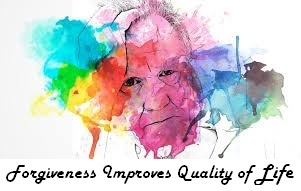 Upon forgiving those who had been very unfair to them, these courageous people reported that their overall quality of life, including how they were feeling physically, was significantly improved. They even reported that their purpose in life became clearer to them because they were leaving their families more settled, more at peace because of the forgiveness that they were offering as they were dying. We saw how their actual physical condition deteriorated over those four weeks while, at the same time, their overall well-being— their reported quality of life— kept increasing. Forgiveness helped these individuals to die well. Enright, Robert (2015-09-28). 8 Keys to Forgiveness (8 Keys to Mental Health) (p. 5). W. W. Norton & Company. Kindle Edition. How can you discipline a child and use a sense of forgiveness in the discipline? Discipline can include pardoning a child on occasion. For example, suppose you tell the child to stay in his bedroom for a half hour because he hit his brother. After 20 minutes you can go into the room and let the child know that you will not be asking him to spend the rest of the half hour in the room. You can say, by way of instruction, that you are showing mercy on the child. Mercy is going beyond what is fair. You then could ask that child to go and have mercy on his sibling, the one whom he had hit earlier. Pardon and forgiveness are not the same thing, but they are related. As another example, you can discipline a child and tell her this, “Even though I am sending you to your room and even though I am disappointed in what you did, I still very much love you as a person, as my child.” You are acknowledging her inherent worth as a person despite your being angry at the moment. 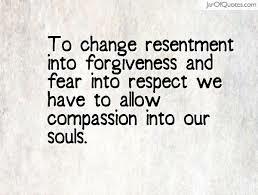 Is the Definition of Forgiveness Only the Reduction of Resentment? The philosopher McGary (1989) argued that forgiveness is nothing more than reducing resentment toward an offender. Unlike the ideas discussed previously, this is not a view of the reduction as passive and time dependent. His definition of forgiving is consistent with the first of our two-part definition covered in the previous chapter. Yet, McGary argued against adding the second part to the definition— that of a more compassionate and empathic stance toward the person. What is intriguing about his argument is that he manages to keep forgiveness within the moral realm as he takes the concept away from a sympathetic focus on the offender. McGary’s (1989) argument goes something like this. As a person gives up resentment, he or she can be motivated by the desire to be rid of negative emotions and by the desire to improve his or her relationships with people other than the offender. McGary is aware of the psychological defense of displacement in which an angry person kicks the cat or yells at the children. Forgiving, as he defined it, is moral because the cat and the children have more peaceful environs as the person forgives. What is missing from the definition is anything approaching a moral sense toward the offender. A client may cease resentment but then have a cool detachment toward the offender. Giving up resentment by itself is not necessarily moral, especially if it is not done on behalf of the offender for his or her good. For example, Alice may cease resenting Seth because she concludes that he is not worth the trouble. She may see him as morally unredeemable and incorrigible. Is she forgiving Seth as she judges him this way? Enright, Robert D.; Fitzgibbons, Richard P. (2014-11-17). Forgiveness Therapy (Kindle Locations 963-971). American Psychological Association (APA). Kindle Edition. Enright, Robert D.; Fitzgibbons, Richard P. (2014-11-17). Forgiveness Therapy (Kindle Locations 959-963). American Psychological Association (APA). Kindle Edition. Is it harder to forgive a family member than it is to forgive a stranger? Most people do find it more difficult to forgive family members because they are the ones who are supposed to be loyal toward and loving with you. When that expectation is broken, then it is hard to forgive especially if the forgiver has not had much practice in forgiving. What are some techniques you would recommend for making a person more aware of their inner sense of anger and the depth of that anger? First, I would not rush this, but be patient with the person. Sometimes a person puts up the psychological defenses of suppression, repression, and/or denial for a good reason. The person may need some time, for example, to get used to what happened before starting on the journey toward emotional healing. When the person is ready, you first can work with him or her to make that which is unconscious (repressed or denied, for example) now conscious. What helps is this: If the person has the safety net of forgiveness and knows that he or she can confront and eliminate that anger, then the person is less likely to fear the uncovering of that emotion. Another technique is to make the person aware of his or her inner pain as a result of an injustice. If the person can look within courageously and see how much pain is in there, then he or she may be motivated to get rid of that pain. The first step is to examine the pain and label it. Are you in mourning only? Are you angry? Are you perhaps even furious? The diagnosis helps the person see the amount of forgiveness work necessary now to heal.